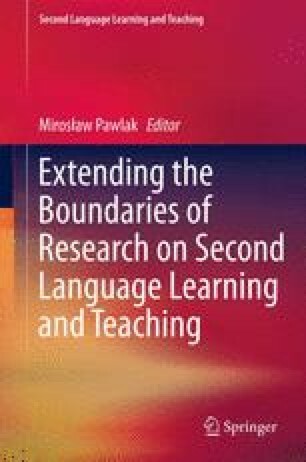 This paper attempts a portrayal of the recent Polish experience of Ireland, drawing on data from the project “Second language acquisition and native language maintenance in the Polish Diaspora in Ireland and France”. This is a multi-disciplinary, comparative project focused on the acquisition and use of the languages of the two respective host communities and on the transmission of the migrants’ L1, Polish, to their children. The paper begins with a sketch of the socio-historical background to Polish migration to Ireland, homing in specifically on the great increase in Polish migration to Ireland after Poland’s accession to the EU. It goes on to provide a range of information about Poles’ reported experience in Ireland in respect of various dimensions of life in their new environment and specifically in respect of language learning. Little, D. 2004. The European Language Portfolio in the classroom: Two examples from Ireland. Paper presented at the British Council colloquium “De-Mystifying the European Language Portfolio”, Brussels, December. (Available at: http://www.britishcouncil.org/brussels-elp-colloquium-david-little.pdf. Accessed April 10, 2008). Monaghan, G. 2007. Poles here and here to stay, The Irish Times February 16, 2007. Available at: (http://www.ireland.com/newspaper/finance/2007/0216/1171494162100.html. Accessed February 18, 2007).